Great Gift Idea for Young and Old - a Talking Photo Album! Our Talking Photo Album is a great gift idea for people of all ages who have speech and cognitive difficulties. Great for socializing with family, friends and caregivers. * Create a picture-based About Me book so volunteers and care providers can learn more about your caree. * Create a photo journal about a recent holiday or special event. * Share pictures and voice from you and your family pre-adoption. * Make a voice-enhanced Memory Book for adults by having family members record personal messages. 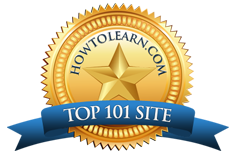 * Create step-by-step picture guides for adults who need prompts for self-care or for on-the job reminders. 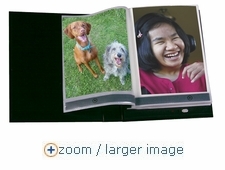 Our Talking Photo Album holds 24 - 4" x 6" pages, each with a individual message capacity of 10 seconds. Insert photos or picture/text cards into the transparent sleeves and record your messages. Squeezes the Play buttton on each page to hear your recording. Two AAA batteries included. Current color: red. OPTIONAL - Add our pre-made Communication Board inserts (adult or child) to create a communication book that talks! Get pictures and page layout templates for this product from GoTalk Image software. See the companion book, Pictures That Talk for more great ideas on how to use a talking photo album to facilitate communication and socializing.